A variety produced in cooperation with the CBD Crew. CBD Kush is a CBD rich variety. Ratio of CBD:THC is between 1:1 and 4:1. Usually the CBD is present in greater quantities than THC. This variety was produced by crossing a THC rich Kandy Kush selection with a CBD dominant strain. 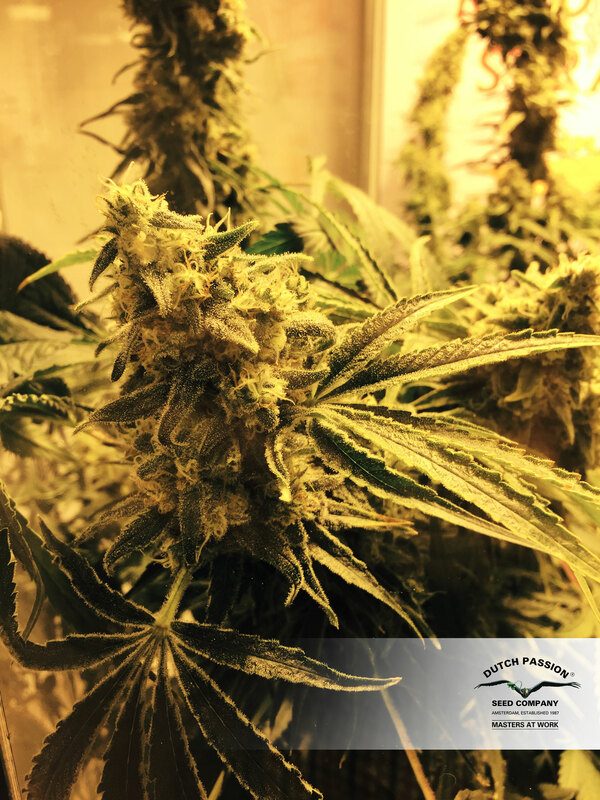 The variety has a mix of indica and sativa genetics but the growth pattern generally shows an indica dominant appearance with good yields and a satisfying flavour. Plants generally reach around 100cm tall. Can CBD Kush be grown outdoors in sunnier/temperate climes with warm to hot summers? I note the indoors/greenhouse but this usually seems to apply to cool climates. Dear All, An update: after the grow (5 plants), I dried the results, decarboxylated them (1h at 120 degrees), ground the material and made both an oil and a tincture for my dad. Dad suffers from chronic back pain and could not be reliably helped any more by conventional (often opioid based) pain killers. Even a stint in an clinic specialised in pain treatment hadn't resolved the issue, since they pain killers injected into his back wore off after 5 weeks (instead of the advertised pain free year). Dad is now taking the oil and tincture and the pain relief is significant. He is NOT pain free, but his quality of life has improved significantly. In his words: he has been able to sleep through a whole night for the first time in years and is a lot more mobile than before. Also, he achieved this without the extreme side effects of the pain killers he was taking before (some of them were very hard on the stomach). Only negative side effects: he thinks that the medication makes him a bit sleepy or drowsy (which he actually welcomes when he ingests it at night) and a little forgetful. 5 plants yielded roughly 350 grams of dried material (including sugar leaves) and produced sufficient pain killer in oil / tincture form for a year based on current consumption rates. In summary: Dad thinks that it was worth the effort and leads a better life. Bit confused here,is she an autoflower? Yes grows in 9-10 weeks on your own preference. I have some curing now. Nice hard dense buds easy to grow. Can't give you a complete smoke report yet until I let it cure for a few more weeks. I tried a small nug in a blunt when it finished drying. Very smooth without a cure not a whole lot of flavor but that could come with time.has a nice smell aswell but not gonna comment once again until it cures for a month or more. Nice relaxing strain all in all if your into the cbd.i popped 2 seeds was 2for2 so it germinates well. Got 2 pheno types one is week 3 flowering and is just lovely reaching for the light.